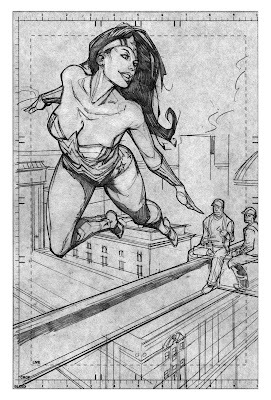 I can hear the late great Freddie Mercury singing his tune as I post the latest failed attempt for a DC cover. Atleast now I have 3 of 4 covers approved. I can't post approved sketches so please don't ask. I'll post them when they get published. I'm not as let down with the rejection of this one as I was struggling with the concept. Its not as cool as the Superman one. But I feel its good enought ot get put up on the old blog. I'm going o try and do a weekly post. We'll see how it goes. Hope you like it! I'm doing some covers for DC as well as other things. I felt like posting some of the rejected comps up here so at least somebody can see them. 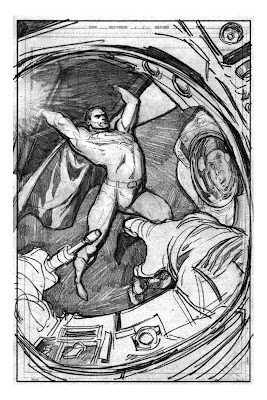 Here is a Superman comp that didn't make the cut.